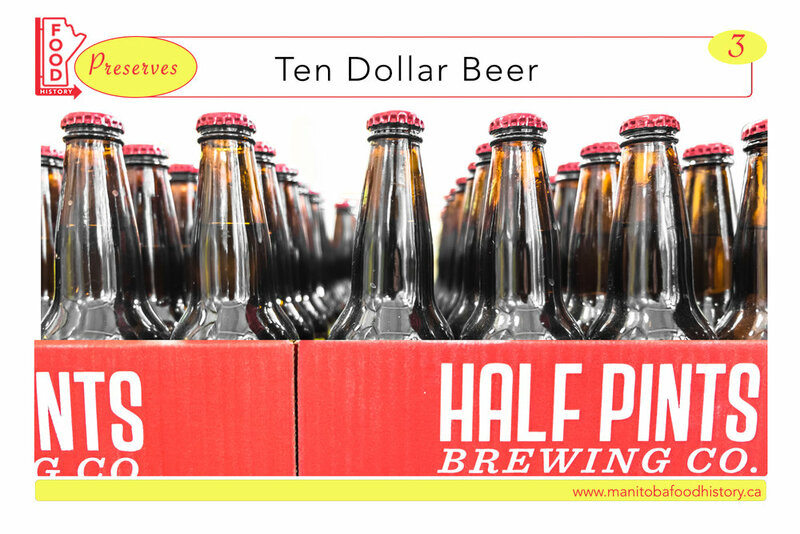 In 2006 before the trend of craft brewing reached Manitoba, establishments like Half Pints Brewing Company were trying to make beer differently. Half Pints CEO David Rudge and Brewmaster Chris Young talk about the challenges of being a local brewery and how the Winnipeg music scene played a role in developing consumer taste for local craft beer. Chris Young, interviewed by Kent Davies, March 16, 2018 in Winnipeg, MB. Digital Audio Recording. Manitoba Food History Project, “Winnipeg Interviews," Oral History Centre Archive, University of Winnipeg, Winnipeg, MB. Dave Rudge, interviewed by Kent Davies, March 21, 2018 in Winnipeg, MB. Digital Audio Recording. Manitoba Food History Project, “Winnipeg Interviews," Oral History Centre Archive, University of Winnipeg, Winnipeg, MB. Selections from “Transistor 66 & Half Pints Presents: Meet the Family,” 2011. Courtesy of Transistor 66 Record Co.
Beaumont, Stephen. Stephen Beaumont’s Great Canadian Beer Guide. Toronto: Macmillan, 1994. Eberts, Derrek. "To brew or not to brew: a brief history of beer in Canada." Manitoba History 54 (2007): 2-14. McNeill, Murray. “Beer remains Manitobans' favourite alcoholic beverage,” Winnipeg Free Press, May 2, 2017. Purdy, Brett. “Manitoba pours out a new strategy for craft beers.” Canadian Broadcasting Corporation, December 16, 2014. Wright, Bill and Dave Craig. 300 Years of Beer: An Illustrated History of Brewing in Manitoba. Great Plains Publications, 2013.